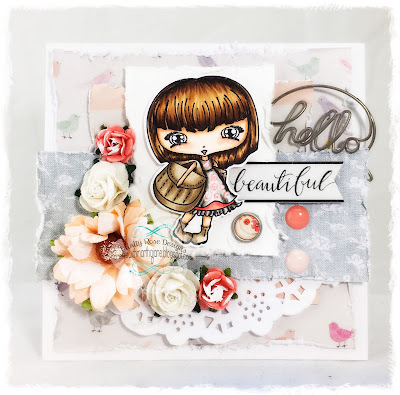 Welcome to Day One of our September New Release Previews at CC Designs! I Absolutely love the new Cinnamon Character! 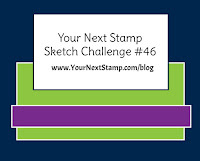 Today the challenge is to use Kraft in our Designs! I Hope you join us and enjoyed this sweet card using the super sweet Baby Luka! Hello Everyone! Kraft Girl Martha here with you today! I wanted to pop in Today and show you how to Color Ghoulish Skin with Copic Markers. 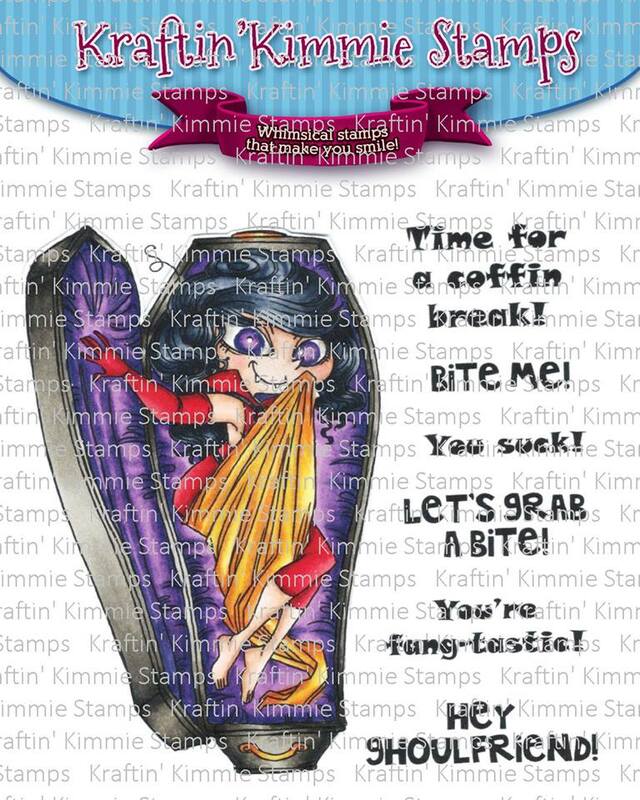 Like i did on this card with Vanessa Vampire. 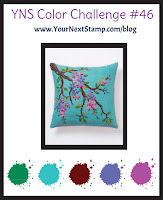 Today on the La-La Land Crafts Blog our challenge is to create a project featuring Stitches! I'm such a big fan of our Frenchies! And this cutie is no exception! 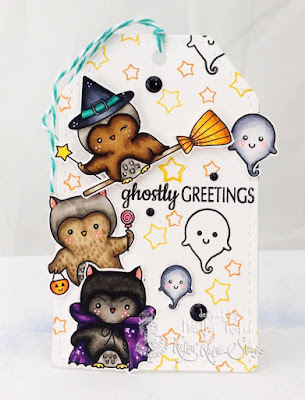 I hope you liked this too cute to spook card! I just Love this sweet Girl and her Wagon! We want EVERYONE to be able to play along so your submission can use ANY stamp and can be any theme, any style, any designand it can be a card, a scrapbook page, an altered item....you name it!! It must be a NEW creation and you can enter on this post until March 31st at midnight! At the end of the month one random winner will be chosen from all the submissions for the whole month and will receive a $20 Gift Card to the shop!!! What do you think.....wanna WIN?? Let's see your krafty stuff!! 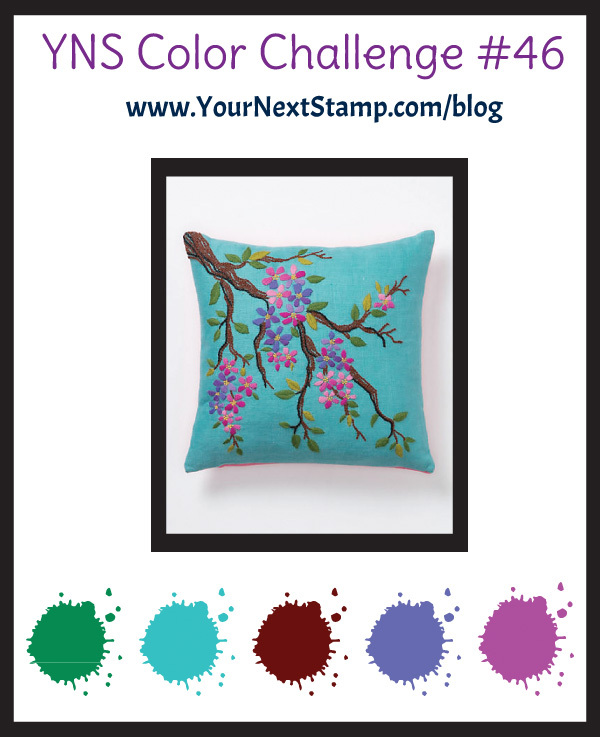 Its the Designer Showcase at Your Next Stamp! 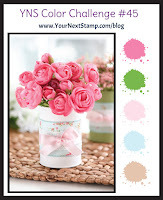 August's theme is Birthday because its our Birthday month and YNS! How Adorable is that Sweet Bunny?! I Hope you love this sweet Birthday Bag as much as I do! 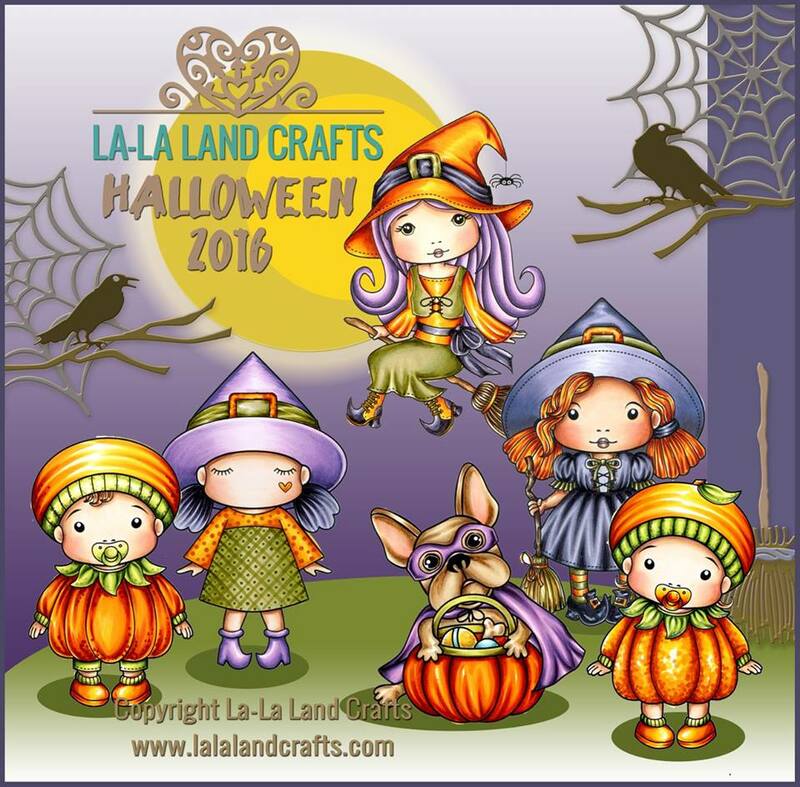 Im so excited to show you my projects for the August 2016 Club La-La Land Kit! 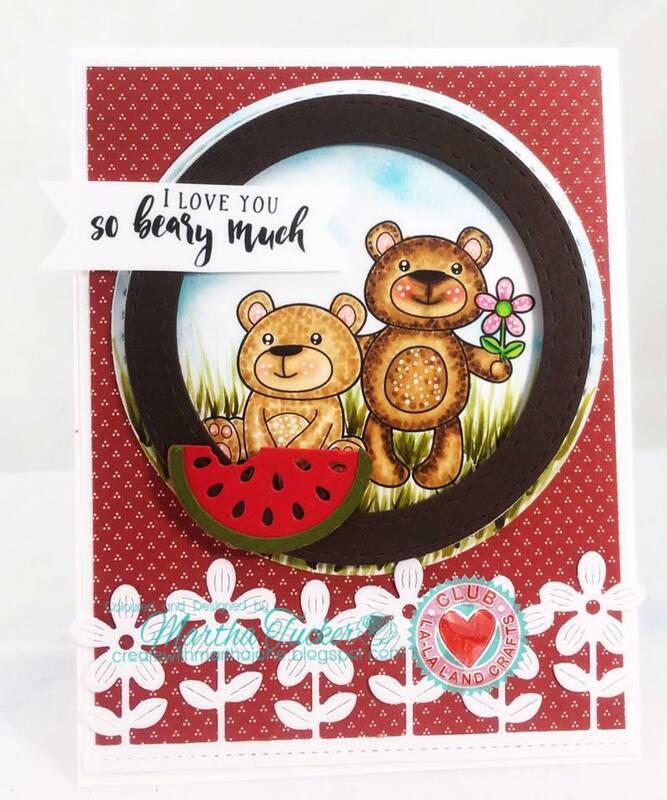 I just adore these adorable little Bears! Picnic Marci is just too Precious! Here are the Copic Markers I used for her. We have a Spooky new release at La-La Land Crafts!! 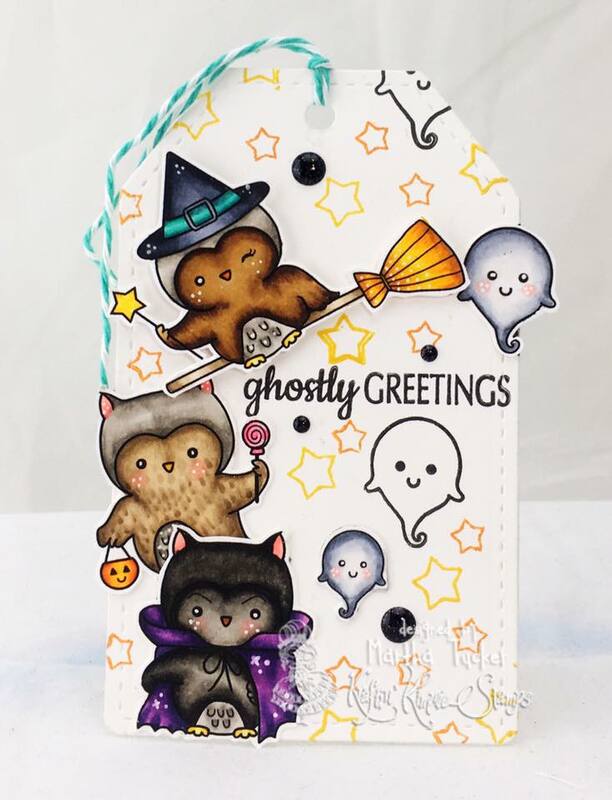 I hope you enjoyed my Spooky Cute card. And expect to see a lot more cards from me with this release! 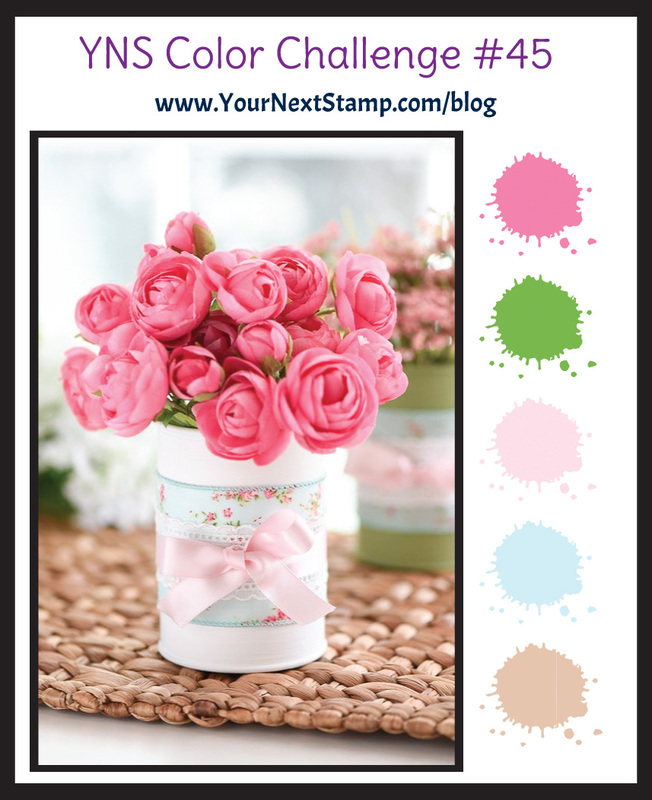 The RELEASE of our AUGUST 2016 clear stamp sets!!! 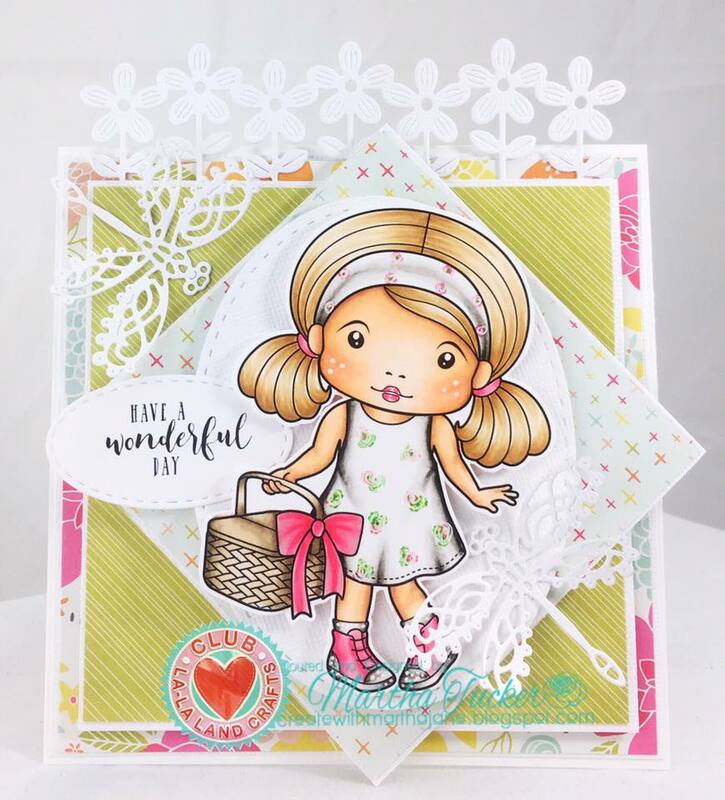 We've released ALL SIX of the EEK-TASTIC new clear stamp sets that we've been previewing all week and we're celebrating with a super fun krafty HOP! So grab a nice hot beverage and put your feet up because you will need a few relaxing minutes to enjoy all the magical fun by our design team and guest!! called VANESSA VAMPIRE and VALENTINA VAMPIRE! 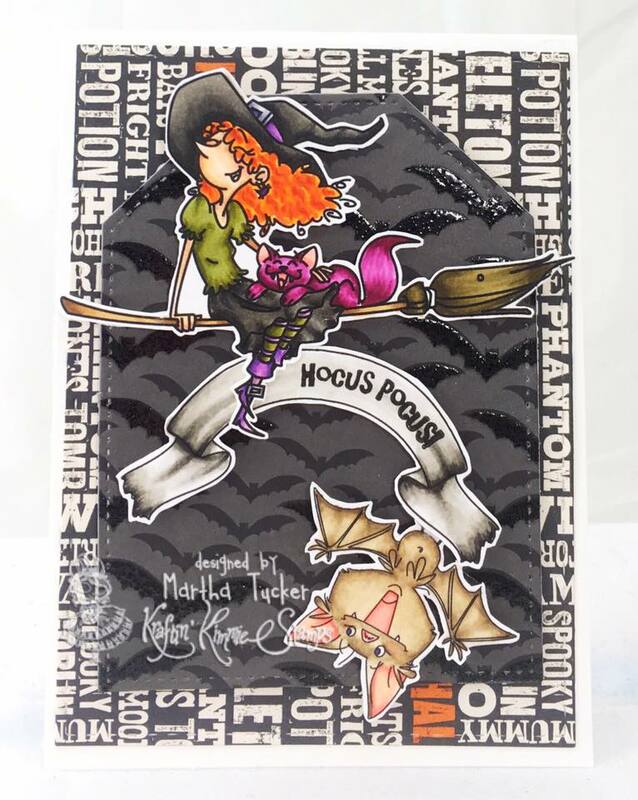 We've got a fun new spooky set from artist, Emilie Goulet called TOTALLY WITCHIN'! 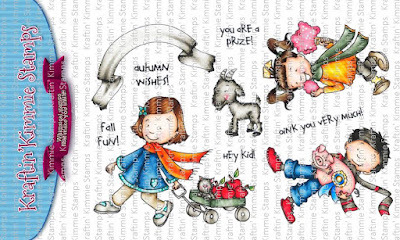 We have an adorable new set full of fall fun from artist, Cheryl Grant called AUTUMN WISHES! I just love this sweet Set! Its so very Versatile! 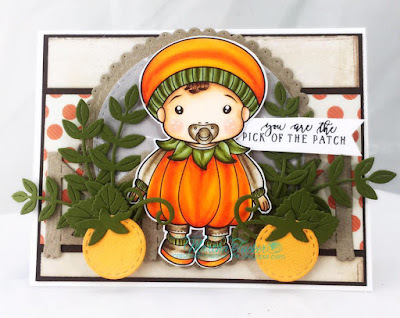 It can be used for Harvest,Halloween and Thanksgiving! And if you HAVE to have it ALL, we also have our August Gimme Kimmies Kit which includes all SIX of the new sets together and at a discount! But only for a limited time and while supplies last! 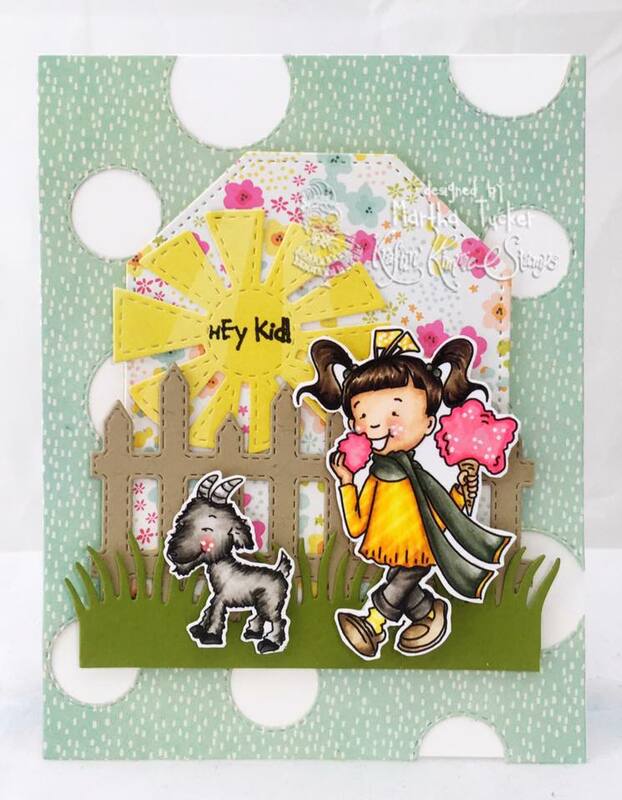 Welcome back to our FOURTH and final day of August Krafty Peeks! 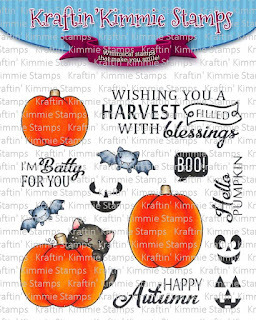 It's almost time to release ALL the new SPOOK-tacular stamp sets that you've been seeing all week! We have TWO adorable new sets to share with you today from artist, Becky Pearce! 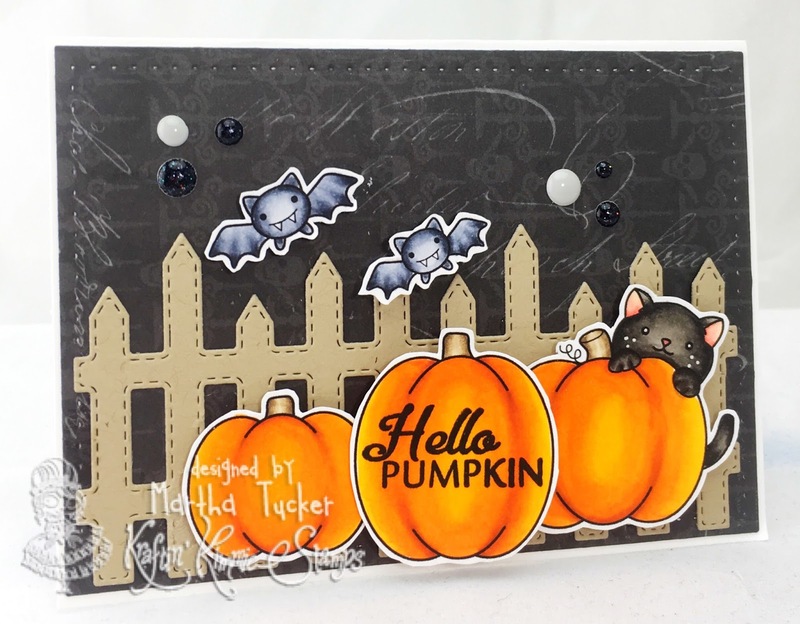 These sets can be used on their own or in combination with each other or even other Halloweenie type sets!! 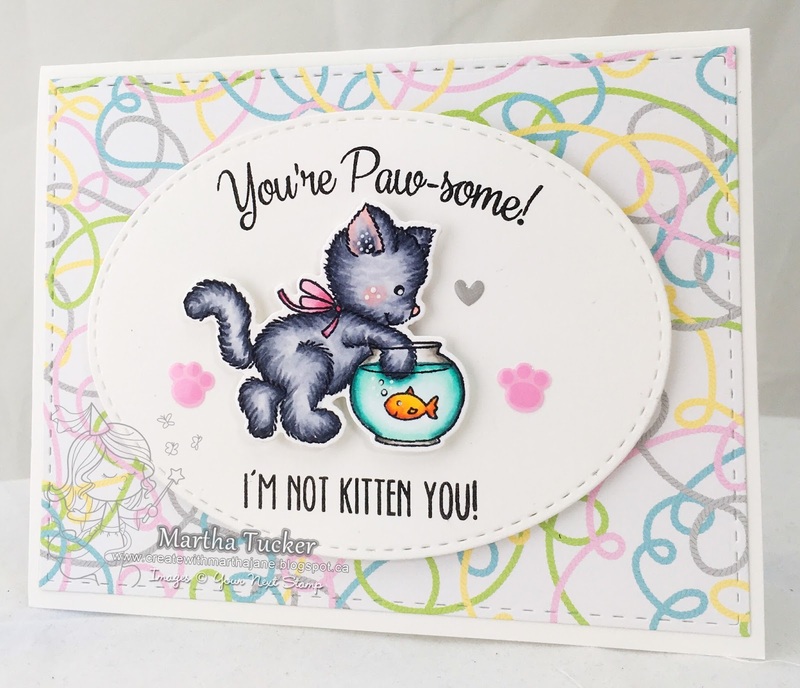 The set features three main images, several smaller accessory stamps and five SP-WHOO-KY sentiments for a total of THIRTEEN fabulous stamps in the set! 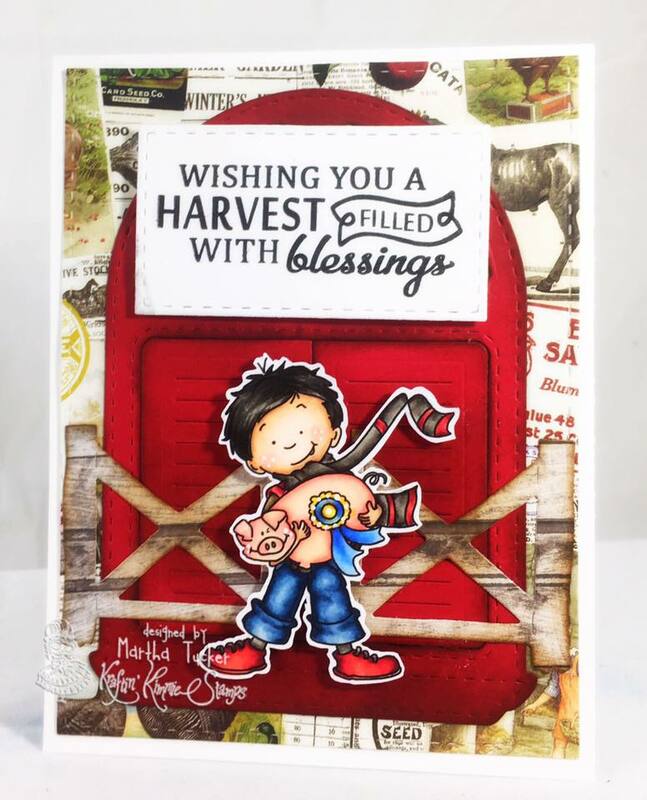 Next up is a fun set of GOURD-GEOUS images and friends called HARVEST BLESSINGS! fab-BOO-less stamps in the set!! 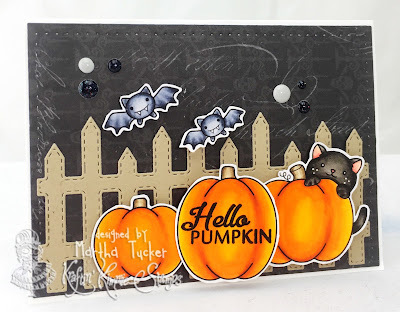 I used HAPPY OWL-OWEEN for tag. I hope you can join us for all the fun and excitement and prizes TONIGHT beginning at 6pm EST!! Hope you can come hang out with the me and Krafty Girls at our LIVE ONLINE RELEASE PARTY! 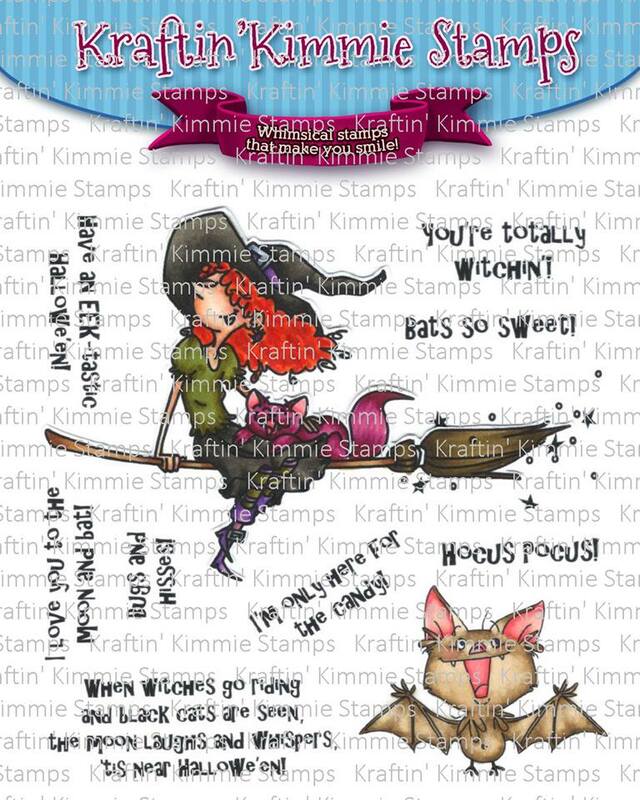 All the Krafty Girls and Guests listed below have lots of super FUN designs to show you featuring these awesome new stamps from Becky! And while you're hopping around, be sure to leave a comment because we are giving away a gift voucher!!! You could WIN some Krafty $$$ to spend at the shop!!!! There will be one winner from all the comments this week and it will be announced at the party tonight! Have you been enjoying the new creations so far? Well, we're only half way done! 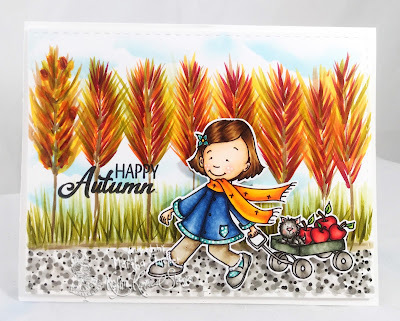 We have so many more fun fall designs! 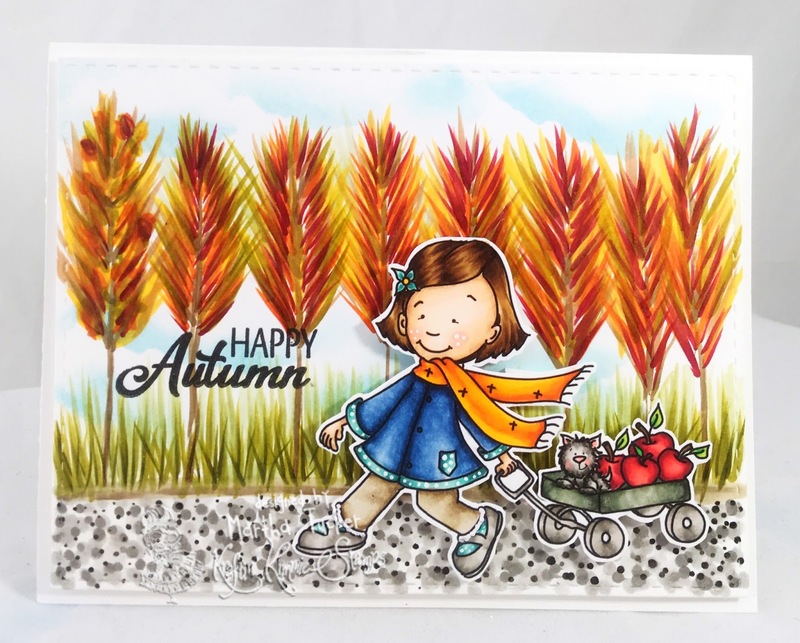 Today's peeks features a sweet new fall set by artist, Cheryl Grant! Of course we've got our three fave kiddos, Lexi, Lucas and Lulu and they're having lots of fun at the fall fair! There's apples, cotton candy and furry friends! The set has four main images, a fabulous banner that you can stamp anything you want in....OR hand letter a special sign PLUS five fabulous sentiments! I hope you can join us on Saturday night for all the fun and excitement beginning at 6pm EST! We'll be sharing lots of pics of the new stamps, chatting with krafty friends from all over the world and giving away some prizes! 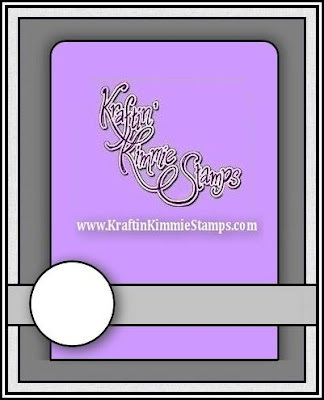 All the Krafty Girls and Guests listed below have goodies to share with you today so be sure to check them out! 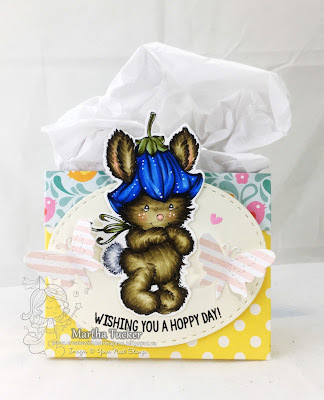 And while you're hopping around be sure to leave some love at each stop because one lucky commenter is going to WIN a gift voucher to the krafty shop! 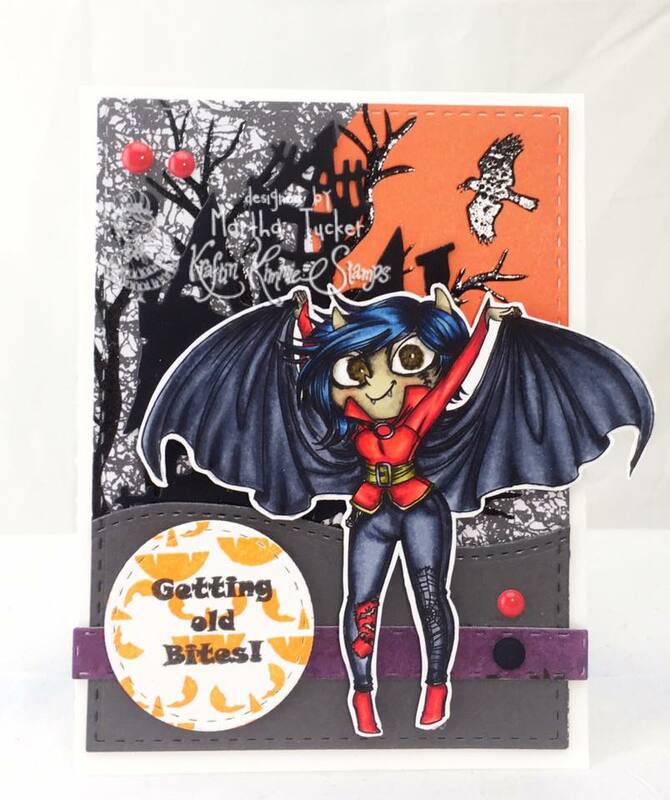 We are back again with more terror-ific stamps and designs and all of our new Halloween sets will be released on Saturday night! 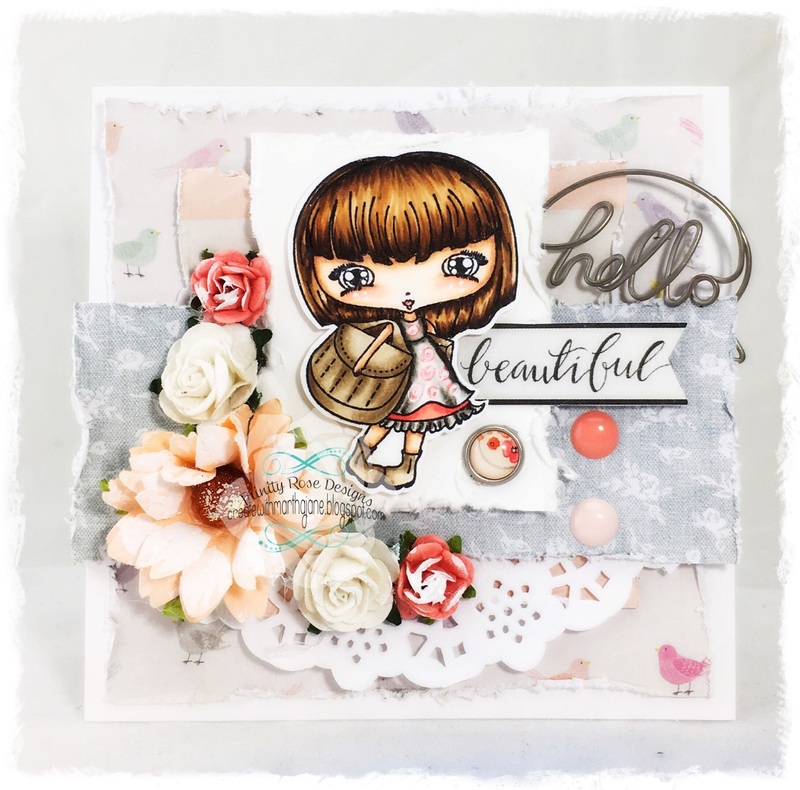 Today we are sharing an EEK-tastic new stamp set by artist Emilie Goulet! 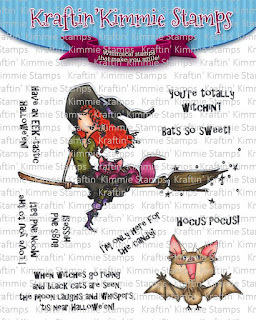 This fun set has two main images of a high-flying witch with her kitty cat friend and a whimsical bitty bat! 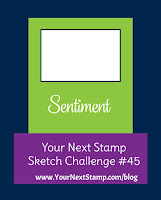 The set also comes with EIGHT fun sentiments! 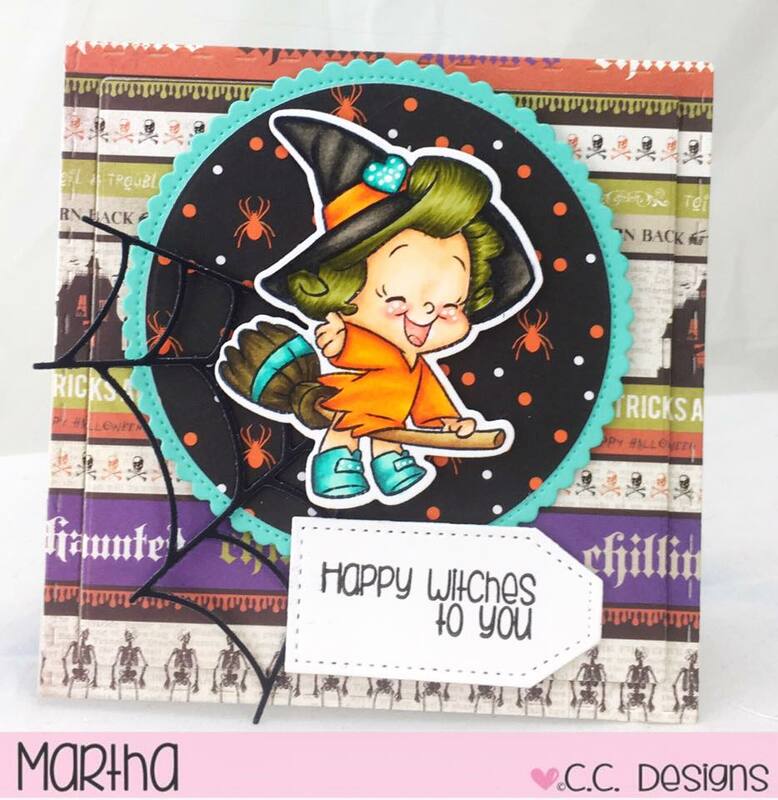 This new set is called TOTALLY WITCHIN'!! Be sure to join us for all the fun and excitement on Saturday night beginning at 6pm EST for our LIVE Online Release Party! 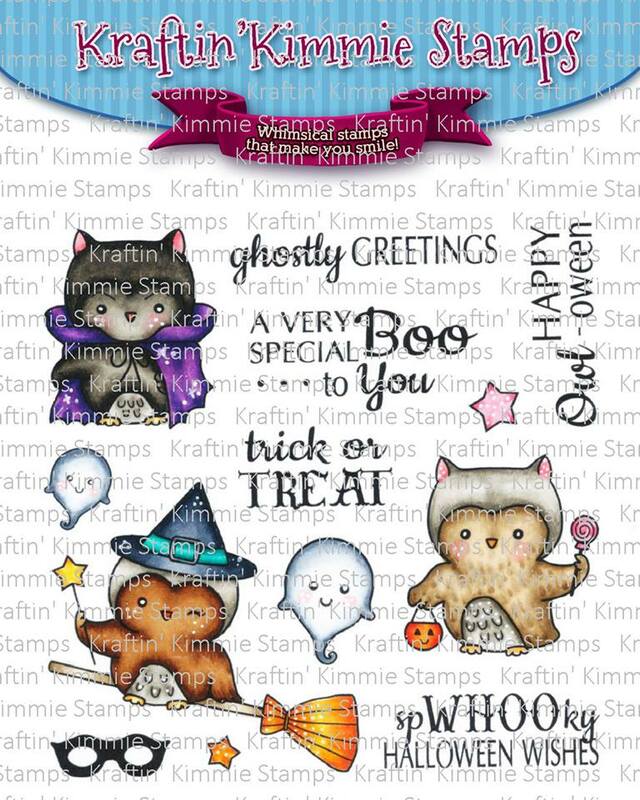 All the Krafty Girls and Guests listed below have lots of BOO-tiful designs to share with you today featuring this new set! And while you're hopping around and checking them all out, be sure to leave some love at each stop because one lucky commenter is going to WIN a gift voucher to the krafty shop! The winner will be announced at the party, so don't miss it! 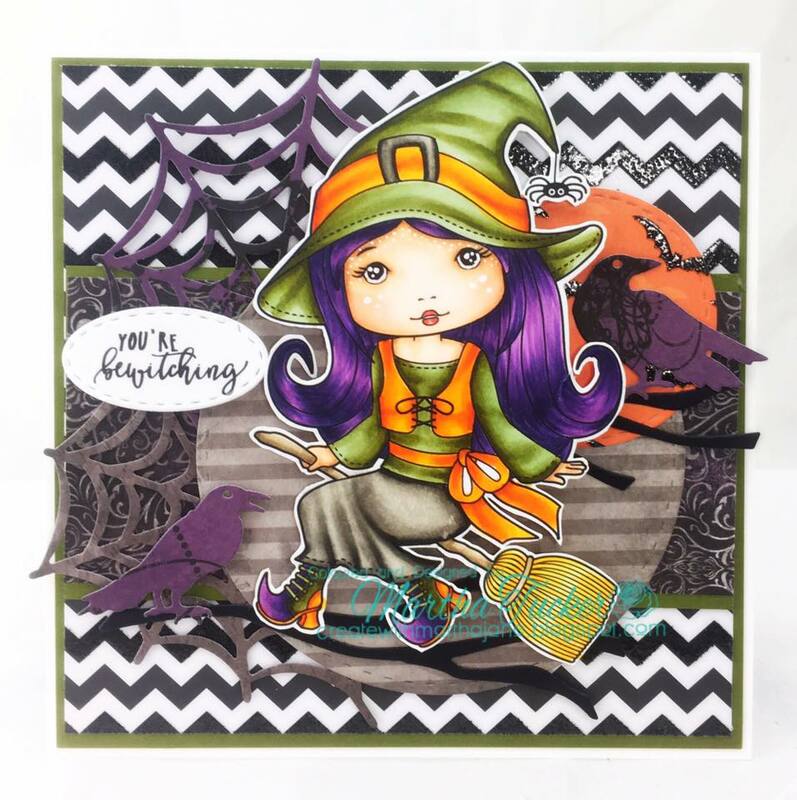 If you are a Kraftin' Kimmie Stamps fan, you'll know that AUGUST is always our HALLOWEEN release and it's probably our most popular release of the YEAR!!! 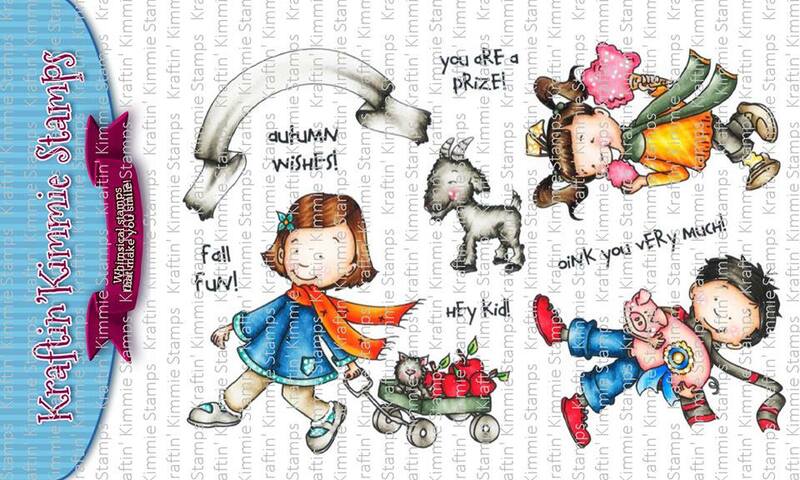 If you're new to KKS, you're in for a fabulous TREAT!! 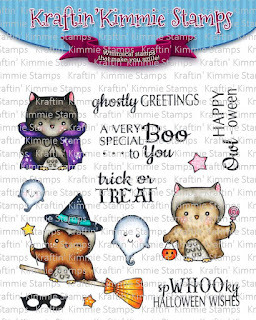 Welcome to a week of SPOOK-TACULAR designs featuring our NEW August Release stamp sets!!! 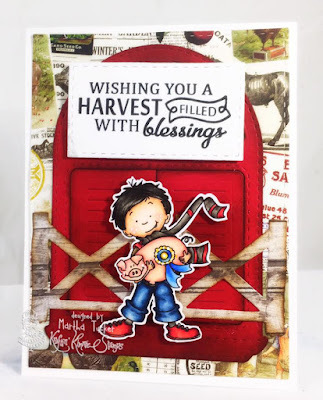 so welcome to Day ONE of our August Peeks!!! 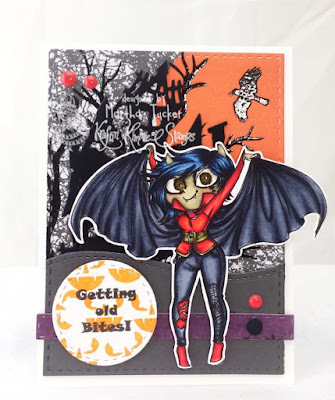 FANG-TASTIC sets from artist Annie Rodrigue! I'm sure you'll agree that these two ghoulfriends are bloody amazing!! They are called VALENTINA and VANESSA VAMPIRE! 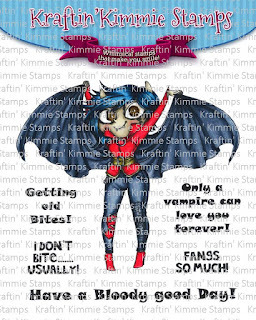 Each set comes with a stunning new vampire image plus 5 or 6 coordinating sentiments!! 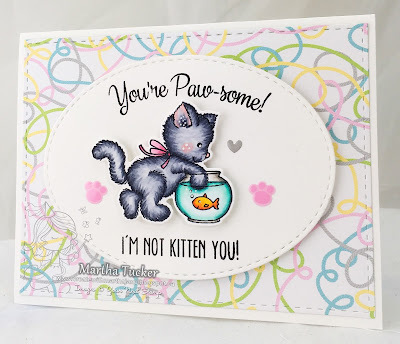 Here is my card ! 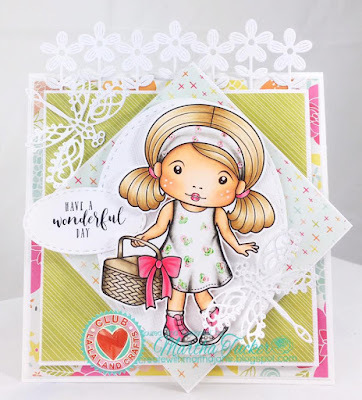 Below you will find links to all the Krafty Girls and Guest who have goodies to share with you today and while you're there, be sure to leave some love at each stop because one lucky commenter is going to WIN a gift voucher to the krafty shop! Who doesn't want to spend some krafty dollars??! 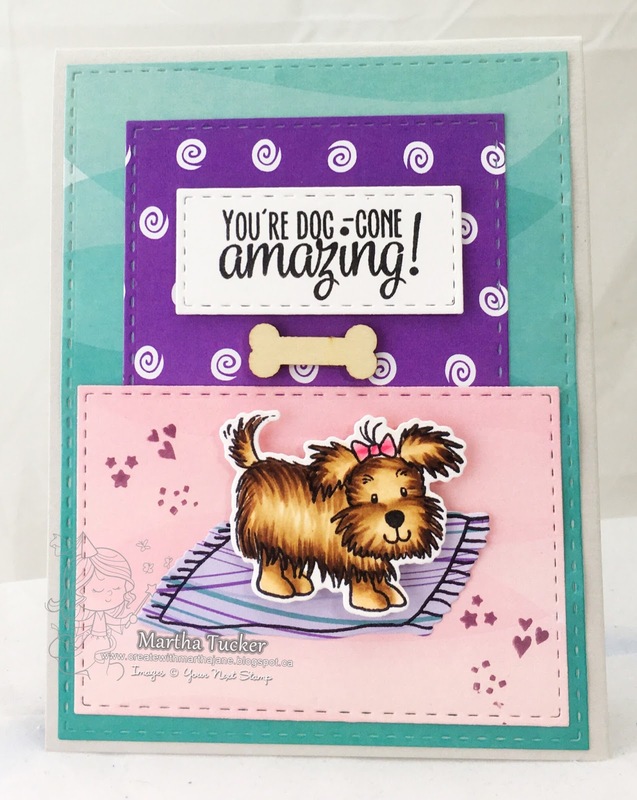 ALL of our brand new clear August release stamp sets will be available on Saturday night after the LIVE Online Release Party which begins at 6pm EST! 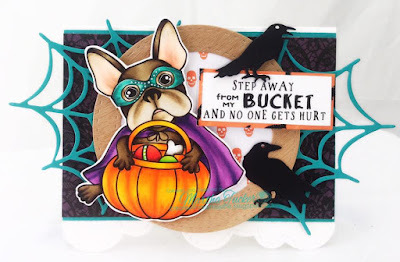 I hope you can come hang out with us and have lots of krafty fun!!! !